Richard is experienced in the field of forensic engineering as an expert witness in cases involving structural issues. Mr. Plump is the high-energy driving force within PLUMPENGINEERING INC.. He has built his reputation on his ability to develop close client relationships, to listen to what a client needs and on his professional business manner. His management style includes a hands-on approach to design and engineering calculations. Mr. Plump’s experience in team leadership has enabled him to put together a highly skilled group of professionals at PLUMPGROUP. 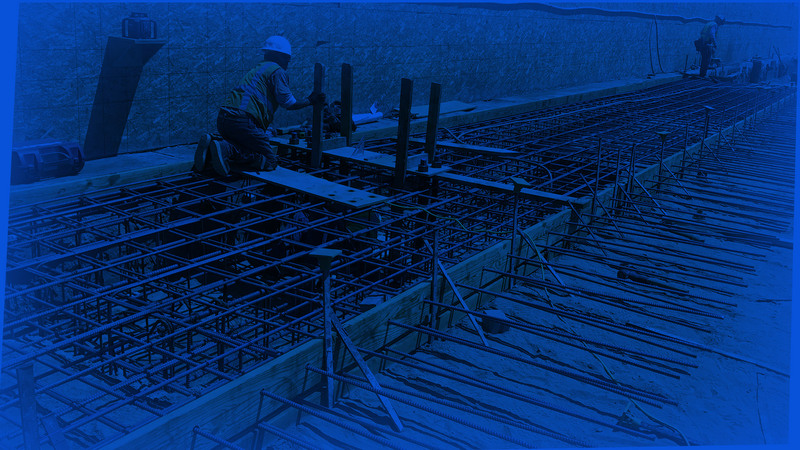 Licensed Professional Civil Engineer in California and Arizona. Mr. Tryfonopoulos has over 15 years experience in the field of Civil Engineering. His expertise includes managing the land development of mixed use, commercial, industrial, and redevelopment projects, ranging in size from single store users to regional malls. He has worked extensively on the development of mass grading plans, drainage studies, hydraulic network analysis, feasibility studies, cost estimates, SWPPP reports, and WQMP / SUSMP reports. Mr. Tryfonopoulos is responsible for overseeing each project’s progress throughout planning, design, and construction, as well as coordinating with clients to keep projects on schedule and within budget. His focus is on maintaining a high level of service, quality and construction feasibility for construction plans to meet the satisfaction of our clients. PLUMPENGINEERING INC. offers integrated services and expertise which delivers the completion of architectural, interior design & space planning projects from conceptual design through construction administration and installation. PLUMP LEED AP architects promote integrated and whole building design practices, recognized for environmental leadership in the building industry. PLUMP is an experienced team with a stellar track record for entitlement and municipal approvals for even the most challenging projects. PLUMP'S team has worked with many states and federal agencies, our skills and diversity allows for faster project turnaround and approvals. 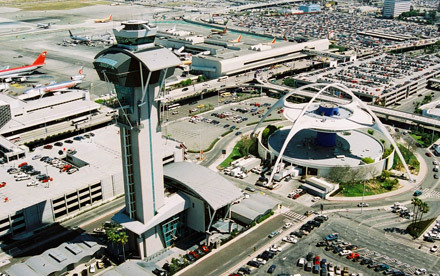 PLUMP Engineering Inc. has proven to be experts in value engineering. Our team of in house architects, structural, civil, mechanical, electrical, plumbing engineers and land surveyors have worked closely with some of the top national companies in the country to provide reduced cost and materials specifications. PLUMP Engineering Inc. places great emphasis on client input and involvement at all levels. Regular communication is maintained from the onset of each project through completion of the job and beyond. Plump believes this type of involvement is essential to realizing client and project objectives. Plump Engineering appoints a senior project manager to the direct benefit of each client in keeping the program requirements and goals. This gives a more centralized experience for program success. PLUMPENGINEERING INC. is a fully integrated architectural and engineering firm that provides services to clients across an expansive range of markets and localities. 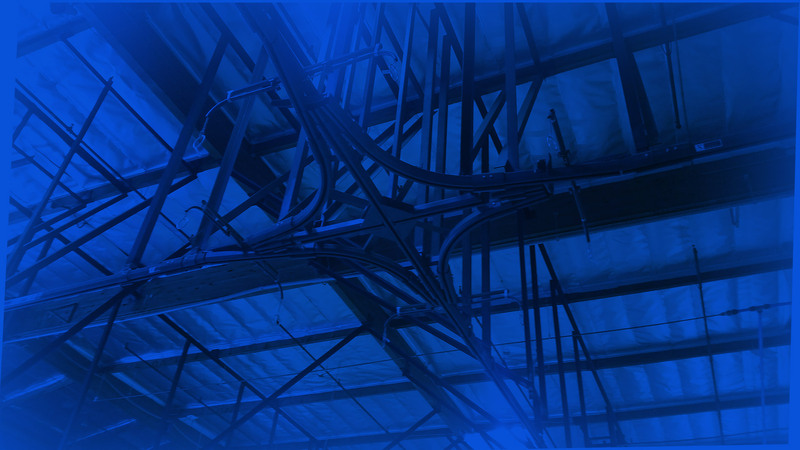 Our dedicated and accomplished team of designers and engineers are well versed in the trade-disciplines of modern structural, civil, mechanical, electrical and plumbing engineering industries. We believe in the power of integrated project collaboration, joining forces to give you a single point of contact. We provide support at every stage of the project life-cycle from conception to completion to deliver quality solutions in a timely and efficient manner. PLUMPENGINEERING INC. uses state-of-the-art AutoCAD, Revit, and BIM equipment ensuring the highest quality design process. Our mission is to provide quality service at a competitive price with responsiveness to your schedule. We pride ourselves on our professional approach and attention to detail. We look forward to being a part of your next project. Please contact us today so we can discuss how PLUMPENGINEERING INC. can service your project needs. Contact us today. Plump Engineering was retained to provide structural engineering and construction documents for electrical cable trays support, transformers and risers for this new 12 story structure. Once completed, this landmark building will house 36 courtrooms. 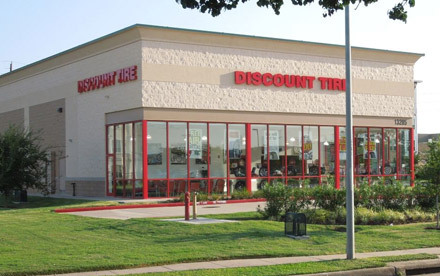 Discount Tire / Americas Tire sees the value in our Integrated Model; Cost Management, Streamlined Approval Processes, Accelerated Schedules and Reduced Risk. Discount Tire / Americas Tire is the world’s largest tire and wheel retailer. Plump Engineering acts as the primary architect, designing 25 to 40 stores a year. Additional services we provide include entitlements, structural and civil engineering, construction documents and construction administration. We also develop and maintain a prototypical set of plans and specifications. Plump Engineering was retained to provide architectural services and structural engineering services for a new pass through opening through a concrete wall inside the facility. It required relocating support columns for the roof structure. The Mercedes Benz emblem being hoisted into place at the Super Dome. 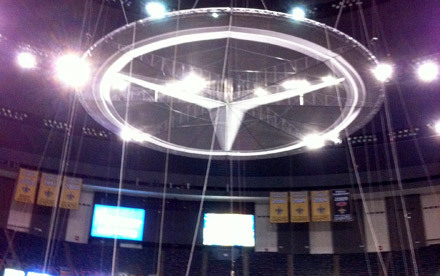 Plump Engineering was retained to engineer the truss that secures the large Mercedes Benz emblem in place as it hangs high above the Superdome, the home of the New Orleans Saints and Super Bowl XLVII. 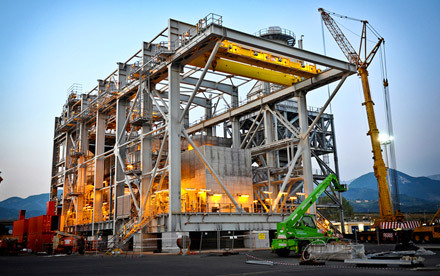 Plump Engineering is an experienced team with a stellar track record of entitlements and municipal approvals for even the most challenging and controversial of projects. Our team has worked with many states and federal agencies, our skill and diversity allows for faster project turnaround. 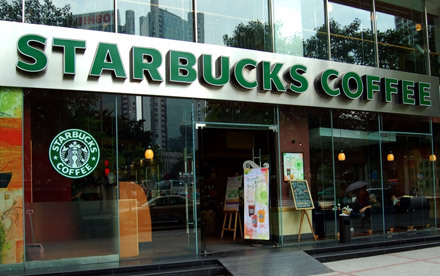 Plump Engineering continues to partner with architects and developers for Starbucks, providing various services including: entitlements, engineering design work from on-site building assessments to tenant improvements and facility maintenance. 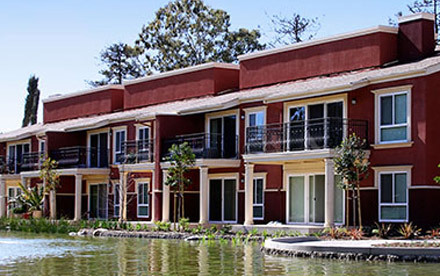 Plump Engineering was retained to provide the structural engineering design for all 79 apartment unit renovations, the complete renovation of the community center that was converted to the new leasing offices and the ground up structural design of a new 2 story community center. Plump Engineering provided the design work for the extensive landscape design including; walls, towers, bridges and fire pits. Civil engineering included construction staking, storm drain designs and grading. 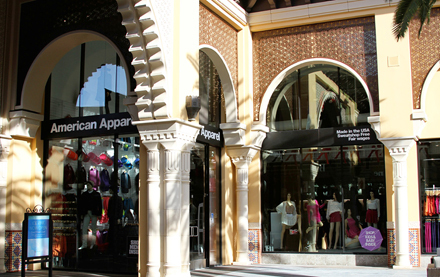 American Apparel is a testament to our commitment to scheduling and budgets, providing the engineering design for several of their stores. A primary goal of Plump Engineering is respect for schedule and budgets. Our broad experience with a variety of projects has lead us to an understanding of and respect for budget and time constraints. Cost and schedule controls are undertaken at the onset and then closely monitored for the duration of each project. The direct, hands on involvement of Plump Engineering's Principals in all phases of the design process enables us to translate our clients' engineering requirements into reality. Our involvement with a project does not end with the design delivery, we stay with our client until the job is completed to their satisfaction. 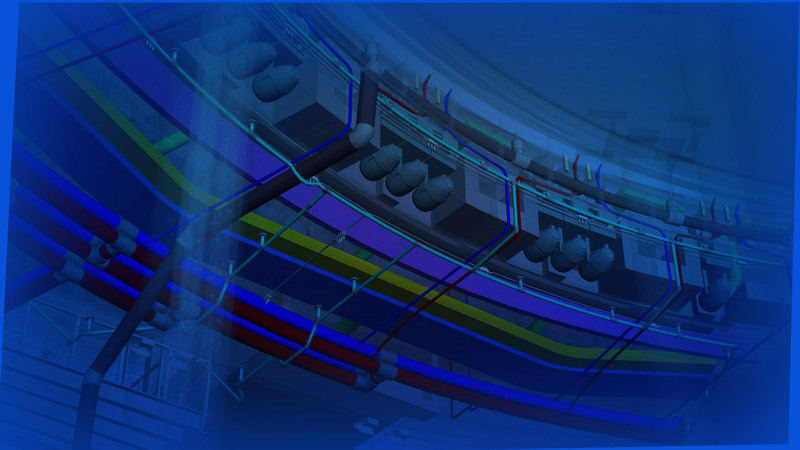 Alcatal-Lucent is a global manufacturer of networking and telecommunications systems. Their facilities in Calabasas, CA retained Plump Engineering for the engineering design of a full service cafeteria, dining facility and gym. Plump Engineering places a great emphasis on maintaining regular communication with the team from the onset of each project through completion. 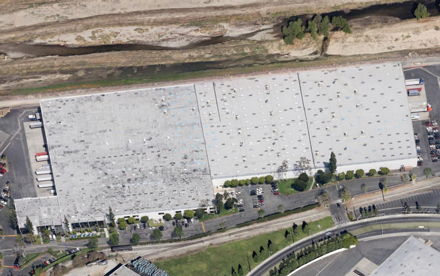 Medical Manufacturer, IRIS Diagnostic, a division of IRIS International, Inc., retained Plump Engineering to engineer the design of an expansion to their facilities by 50,000 square feet. The facility went from a 35,000 sq. 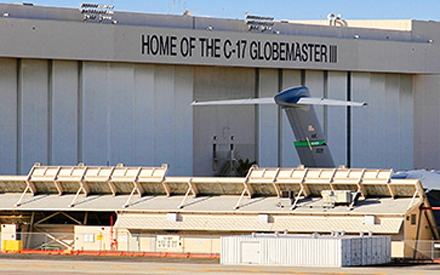 ft. to 85,000 sq. ft. The company needed to remain operational throughout the conversion. Constant communication with all involved was a key contributor to the success of the project. 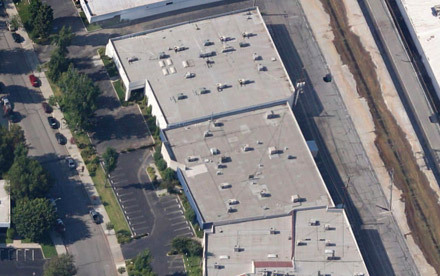 The Kellwood Company – West, located in the City of Industry, CA, retained Plump Engineering to provide structural engineering services for a major remodel; consolidating 5 companies into a single location. The Kellwood Co. are designers, manufacturers and wholesalers of women’s clothing. 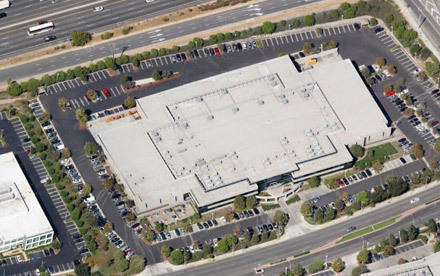 The consolidation consisted of combining 5 companies into a single location; a 400,000 sq. ft. building, a 100,000 SF office and manufacturing building and 300,000 SF automated distribution building. 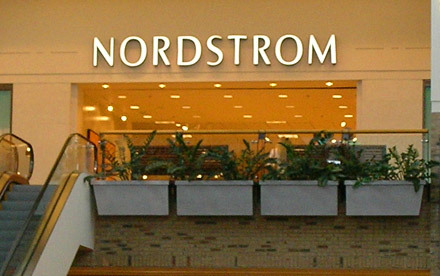 Nordstrom is one testament to our commitment to client satisfaction, providing the engineering design for several Nordstrom stores. Plump Engineering clients can walk away feeling confident that their project will be delivered with excellence that is timely and on budget. 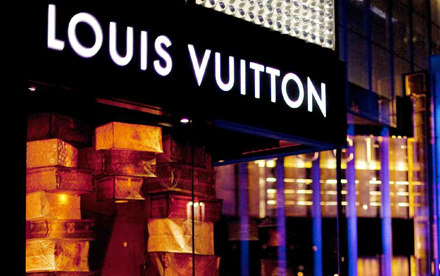 Louis Vuitton is a testament to our commitment to client involvement and input, providing the engineering design services for several Louis Vuitton stores. Plump Engineering places great emphasis on client input and involvement at all levels. Regular communication is maintained from the onset of each project through completion of the job and beyond. Plump Engineering believes this type of involvement is essential to realizing client and project objectives. 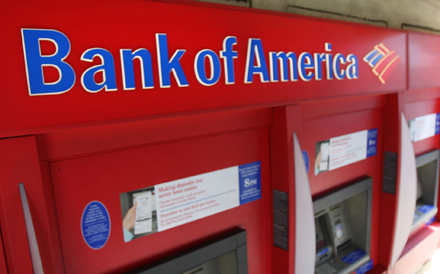 Bank of America BofA is one testament to our commitment to client satisfaction, providing the engineering design for several Bank of America branch offices including one of their newest locations throughout the United States. Plump Engineering prides ourselves on the long term relationships we’ve built with our clients over the years, our clients walk away feeling confident that their project will be delivered with excellence that is timely and on budget. 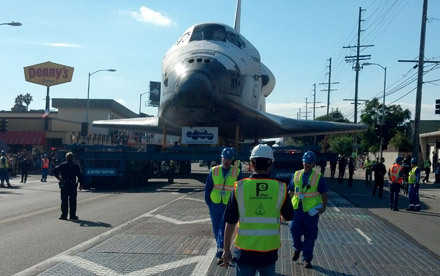 Plump Engineering was selected to engineer the retired Space Shuttle Endeavour’s Final Mission; a 12 mile, 2 day journey from Los Angeles International Airport, through the city streets to its new home at the California Science Center. 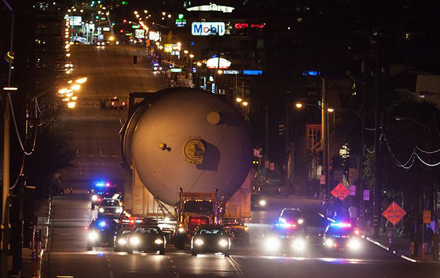 The combined weight of the shuttle and the transport vehicle totaled approximately 500,000 pounds. This heavy load move posed a potential risk to the city’s infrastructure. Plump Engineering. was retained to investigate the impact of the heavy load on the city’s roadways, sewers and storm drains throughout the entire 12 mile route. The goal was to create a detailed Logistics and Transportation Plan to insure that the weight did not damage the underground utilities during transport. 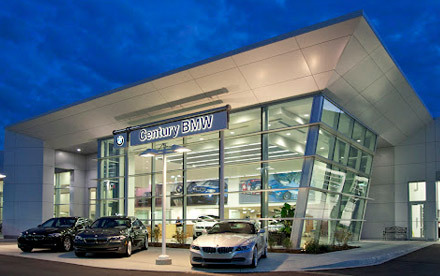 Marbles has retained Plump Engineering as the architectural designer for their stores. As the architectural designer, all services are performed “in house”, from store lay out and mall management approvals, to permitting and construction administration. 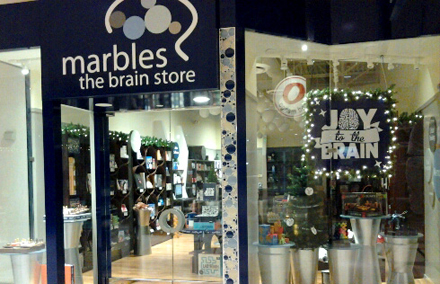 Partnering with Marbles, we successfully roll out several stores a year. Plump Engineering uses state of the art AutoCAD equipment to ensure the highest quality throughout the design process. Our teams have worked with some of the top national companies in the country to provide reduced cost and material specification. 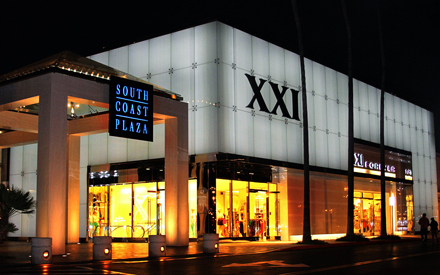 South Coast Plaza, located in Orange County California is internationally known as one of the crown jewels of shopping on the west coast and in the summer of 2011, it became the newest location for the popular apparel company, Forever XXI. The retailer took over 43,000 square feet of an existing Sears store to create their 2 story flagship store. Plump Engineering was hired to engineer the elaborate two story exterior façade, the installation of new escalators and the elevator foundation in an existing building. This involved structural engineers at Plump Engineering strategically designing a plan for cutting a large opening in the concrete flat slab at the grade level, engineering the new concrete foundation at below grade level of the store and reinforcing the new openings on the two story building. Plump Engineering is licensed in all 50 states, this allows us to more effectively service our national clients and store chains throughout the country, like Outback Steakhouse. 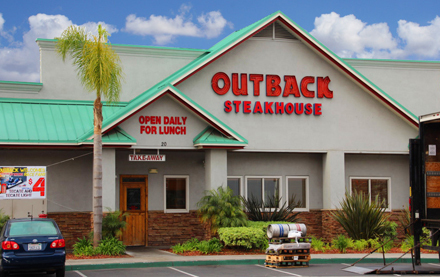 Outback Steakhouse has retained Plump Engineering to provide structural engineering services on several of their restaurants. 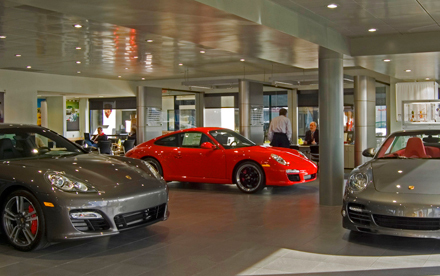 Follmer Porsche Audi is one testament to our commitment to client satisfaction, providing the engineering design for Follmer Porsche Audi dealerships. 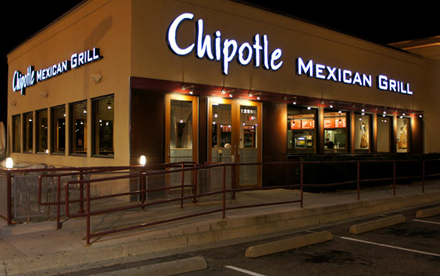 Chipotle Mexican Grill is one testament to our commitment to delivering quality to our customers. Plump Engineering values the client relationship it’s built with Chipotle Mexican Grill to provide engineering services for multiple locations. 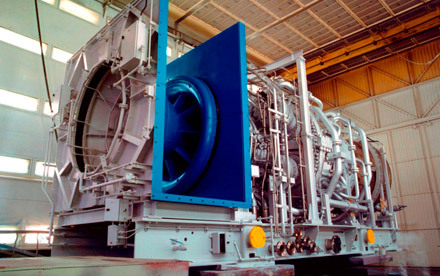 They can trust Plump Engineering to deliver quality that adds value to their company. Plump Engineering begins by understanding a client’s business, objectives and mission. 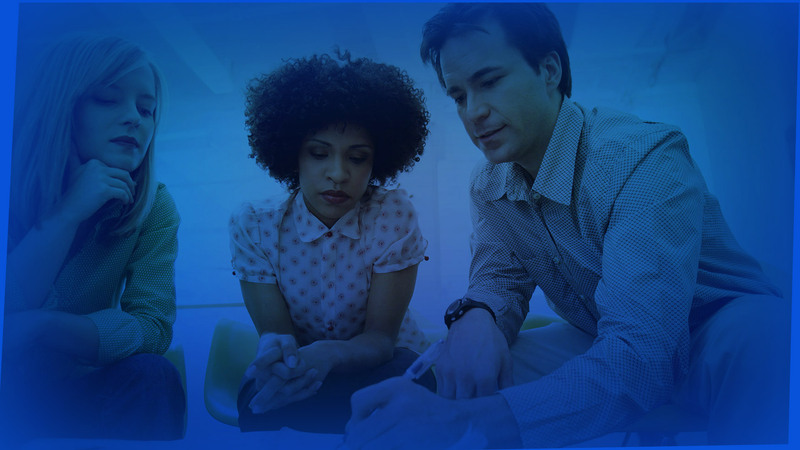 By providing fully integrated services and bringing together the most talented experts, we help transform our clients into leaders. Oakley is an internationally recognized brand known for their innovative designs and style. 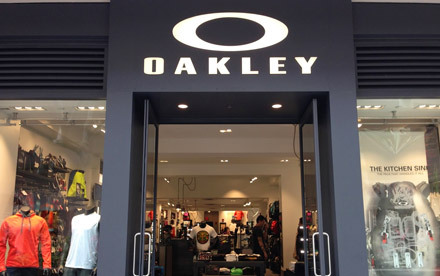 We are proud to partner with Oakley on several of their stores including their new flagship store on 5th Ave. in the heart of downtown Manhattan. 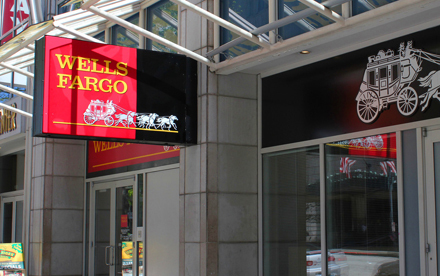 Wells Fargo is one testament to our commitment to client satisfaction, providing engineering design services for several Wells Fargo branch offices. Plump Engineering has a long standing working relationship with several financial institutions providing design services for tenant improvements and ground up building designs. 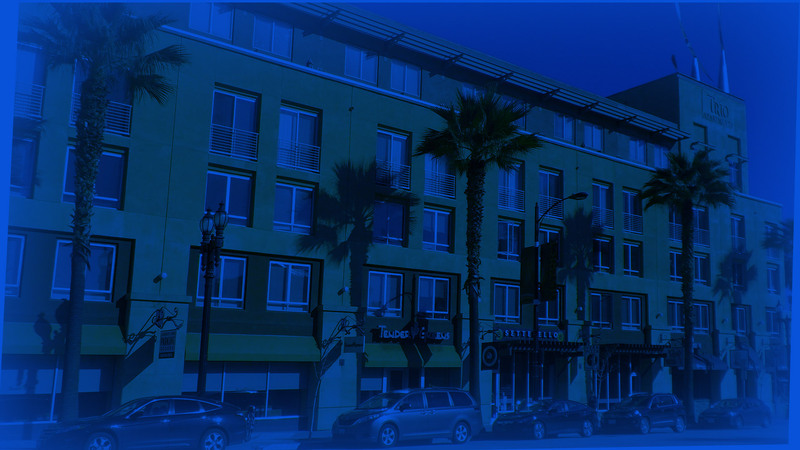 Our clients include Wells Fargo, Bank of America, Downey Savings and Security Pacific Bank, to name a few. Plump Engineering provides services to clients across an expansive range of markets and localities, including car dealerships. Projects include major remodels and new facilities. 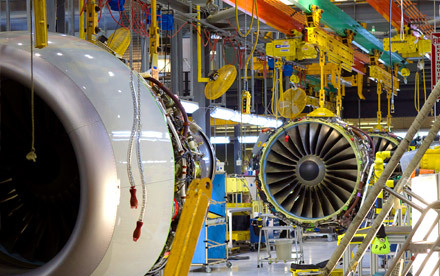 The Boeing Company is one testament to our commitment to client satisfaction, providing engineering design services. 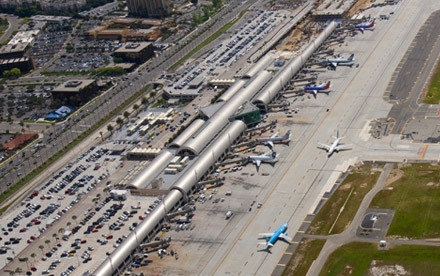 Plump Engineering provides structural engineering services to The Boeing Company for their facilities maintenance. 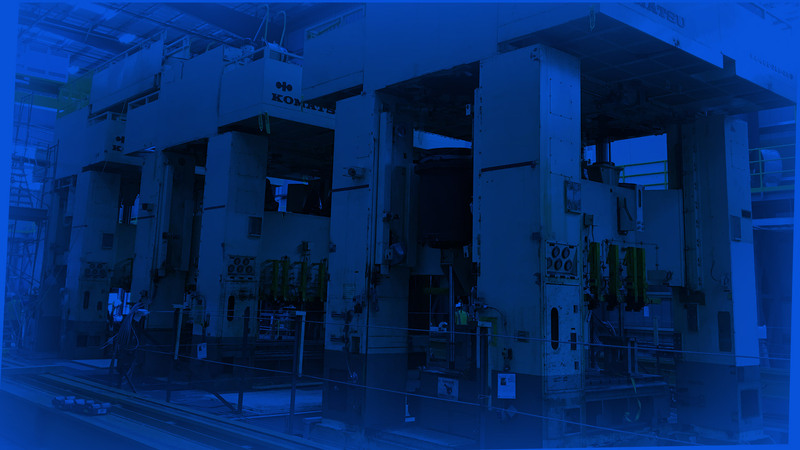 Projects include; building modifications, new wall openings, overhang door installations, loading dock levelers, roof reinforcements for equipment installations, overhead cranes, foundations and anchorage for heavy equipment moves. 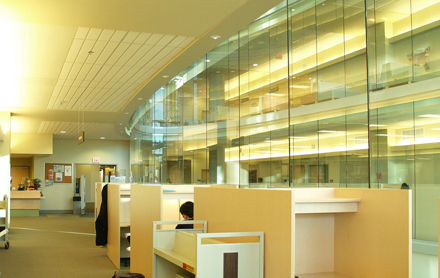 Biomedical Library is one testament to our commitment to client satisfaction, providing the engineering design for this state-of-the-art medical facility. O'Reilly Auto Parts is one testament to our commitment to client satisfaction. Plump Engineering is proud of the long term relationships we have developed with clients like O’Reilly Auto Parts. We deliver valued services with efficiency and responsiveness to our clients needs. 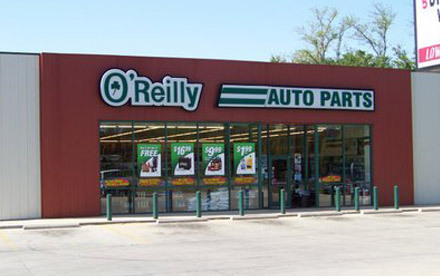 O’Reilly Auto Parts has retained us to provide architecture, entitlements, construction documents and permitting services, rolling out several stores each year. 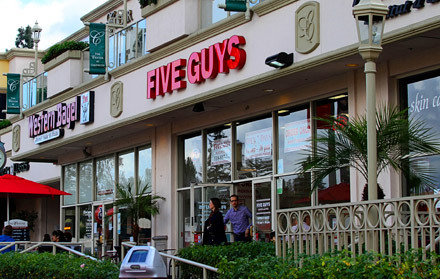 Five Guys retained Plump Engineering to provide architectural services, store design, structural engineering, tenant improvements and interior space planning for several of their stores. Plump Engineering’s proven leadership and expertise in architectural, engineering and planning provide our clients with an edge. Plump Engineering prides ourselves on the long term relationships we’ve built with our clients over the years. 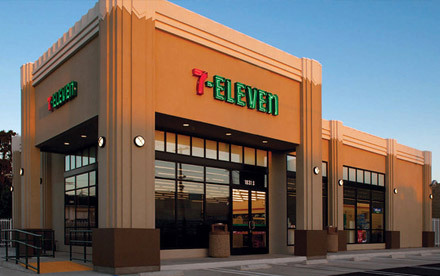 We work directly with developers as their Preferred Architect for the developer driven new 7-Eleven stores. As their Preferred Architect, Plump Engineering provides all services “in house” including; entitlement, architecture, structural engineering, civil engineering, MEP engineering and construction documents. 7 Eleven is one testament to our commitment to long term client relationships. This magnificent staircase serves as a centerpiece for the mall and meeting place for its shoppers. It is a testament to Plump Engineering's commitment to hands-on involvement with all phases of the design process which we believe increases the ability to translate our client’s project requirements into reality. 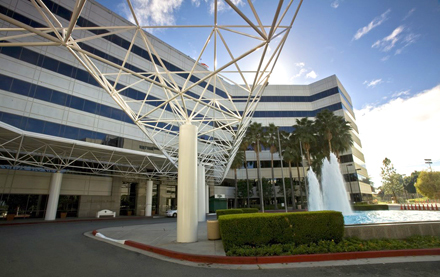 The Westfield Topanga Mall has grown to become one of the largest malls in California. Originally built in the 1960’s it has gone through several recent renovations. 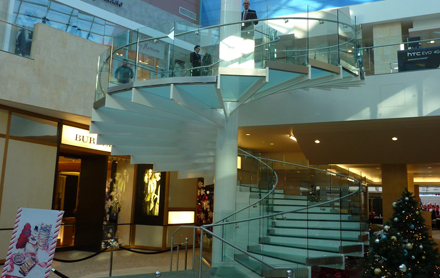 As part of the new design, a spiral staircase was to be installed in the center of the mall. The structural engineering of this impressive staircase was awarded to the team at Plump Engineering . When faced with the challenge of how to transport a 340 ton granite boulder, project managers called on Plump Engineering. Known for successful heavy haul moves, Plump Engineering was retained to engineer a plan to address the infrastructure along the 105 mile route, protecting the underground pipes, roads and sewer lines as the heavy haul past through 4 counties and 22 cities at 5 mph. “The Rock” took an 11 day journey, navigating tight corners, crossing bridges and narrowly avoiding utility poles. The historic trip started at a remote quarry in Riverside County, CA and ended in the heart of downtown Los Angeles, CA. 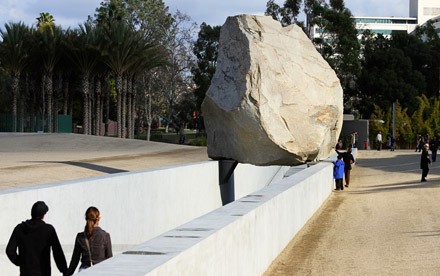 This mammoth rock is now on display at the LA County Art Museum as a centerpiece for a Michael Heizer sculpture entitled Levitated Mass. 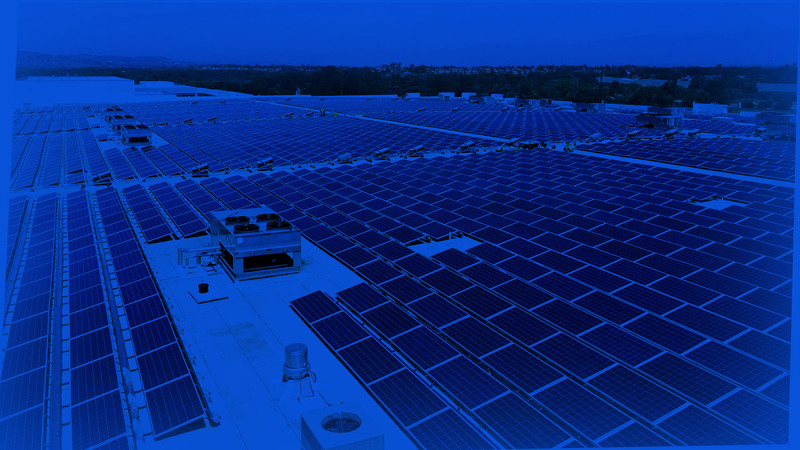 Through our unique combination of in-house design and engineering services, leveraged with the capabilities of our consultant partners, we provide one-step, full service project delivery. 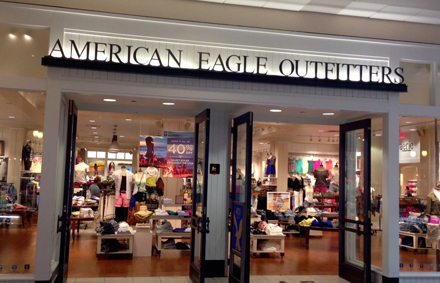 As the architectural designer for American Eagle stores, all services are provided ”in house”, from store layout, mall management approvals and permitting to construction administration. Plump Engineering rolls out several stores a year for the retailer. Plump Engineering has a proven track record for success with an extensive client portfolio that demonstrates enormous experience and expertise and is a testament to our enduring client relationships. Buckles stores have a proven track record for success as they’ve grown to become “one of America’s favorite denim destinations” with over 450 stores throughout the country. 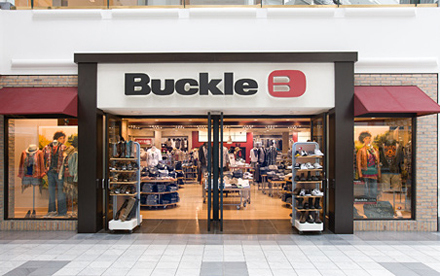 Plump Engineering is proud to team with companies like Buckles providing engineering design services for their stores as they continue to expand throughout the country. Plump Engineering has provided design services for several movie theaters, projects have consisted of engineering design work for both new facilities and major remodels. 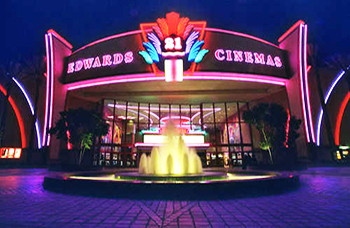 Our relevant client list includes Cinema Star, Regal Entertainment Group / Regal Cinemas, United Artists and Edwards Cinemas. The Chevron Oil Drum move is a testament to Plump Engineering's commitment to partnering, resourcefulness and diligence. When the Chevron Oil Refinery needed to replace 3 huge coke drums weighing 544,000 pounds each, they enlisted the team of professionals that had a proven track record for successful heavy haul moves. The Drums needed to be transported through the city streets from the Port of Los Angeles to the Chevron Oil Refinery, 4.5 miles away. 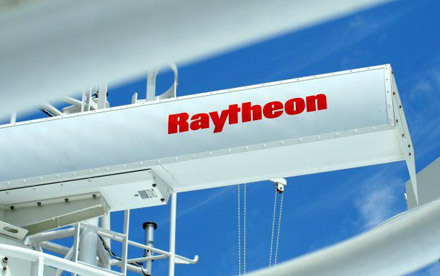 This massive move posed a safety and logistics challenge. Plump Engineering engineers examined everything in the path of the transportation route including; traffic lights, roadways and underground utilities. They examined the findings and provided a transportation plan that included recommendations to protect the infrastructure and ensure a safe passage through the city streets. Plump Engineering has an extensive background working with manufacturing and industrial facilities. 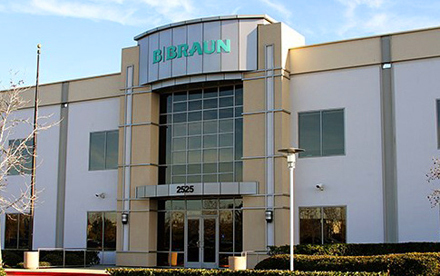 Companies like B. Braun retain our engineering services when the need arises in maintaining their facilities. 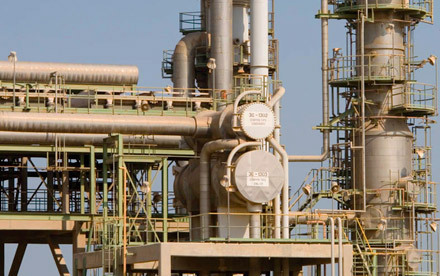 The list of Plump Engineering’s manufacturing and industrial clientele is extensive, including ; Baxter Healthcare Corporation, Western Kraft Corporation, Chevron Oil Refinery, Mobile Petro Chemical, IBM Silicon Chip Plant, Grand Gulf Nuclear Power Plant and National Oilwell, to name a few. Urban Green Energy is one testament to our commitment to collaboration. 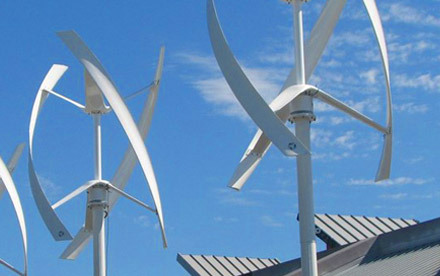 Plump Engineering is teaming with this clean energy company to provide engineered foundation and tower designs for their wind turbines which are installed throughout the country. Plump Engineering provides fully integrated services and brings together the most talented experts, we help transform our clients into leaders. 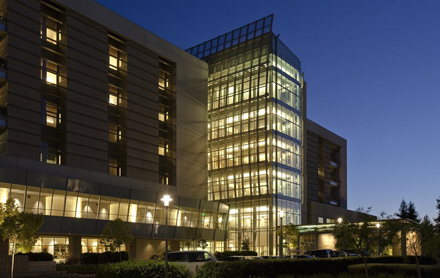 Plump Engineering provided engineering design services for The USC Health Sciences Campus. 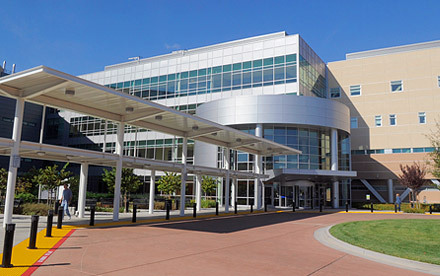 This state of the art facility is one of the nation’s largest teaching hospitals. Plump Engineering is committed to assuring that the design and construction of our projects meet and exceed client goals. 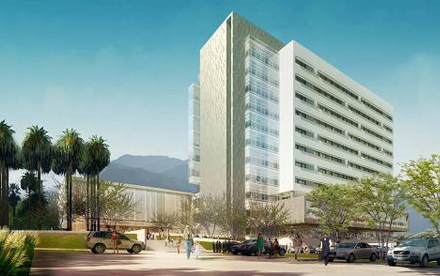 The City of Hope Cancer Research Center is recognized as a world leader in innovative medical research and care. 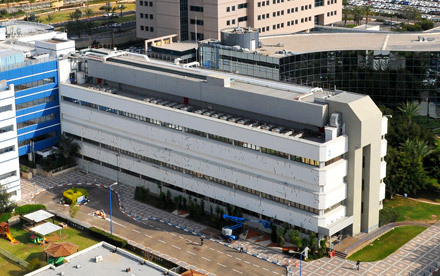 Plump Engineering was retained to work with this top cancer hospital, providing engineering design services for a cancer research facility and a laboratory addition. 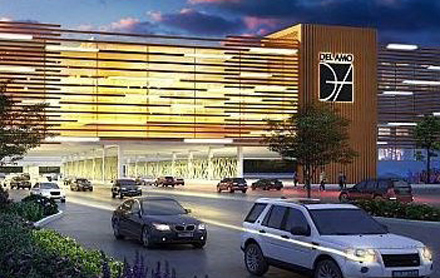 The Del Amo Fashion Center has been undergoing major renovations and Plump Engineering has provided engineering services for several projects. PLUMPGROUP is committed to partnering in the success of our clients. Plump Engineering architects are LEED Certified which stands for Leadership in Energy and Environmental Design. Buildings are designed and certified to be sustainable and energy efficient. 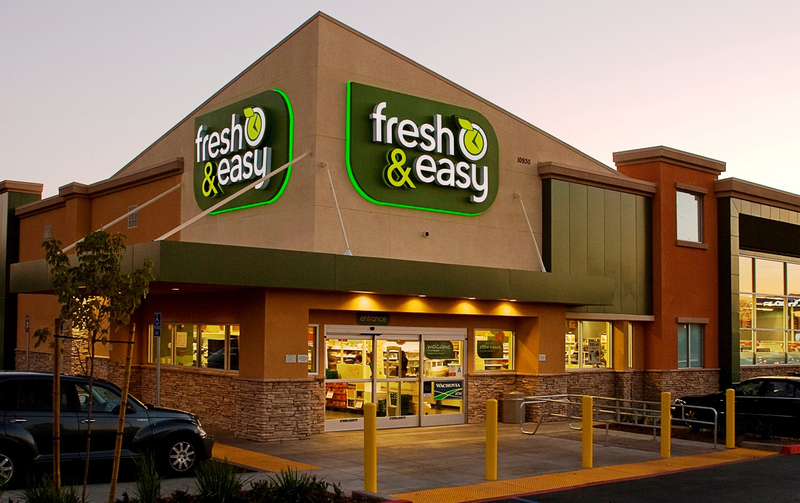 Plump Engineering was retained as the architect of record for Fresh and Easy Stores. Our LEED certified architects designed the prototype stores which included skylights and over-sized windows to bring in more natural light. As part of creating a more energy efficient environment, the overhead lights were designed to automatically dim when the large windows brought in enough natural light to illuminate the store. PLUMP ENGINEERING Porfolio. Our experienced and skilled staff of designers, engineers and project managers are well versed in multiple project categories with a strong portfolio in the following: Aerospace, Alternative Energy, Automotive, BIM, Cold/Freezer Storage, Facilities, Commercial, Commercial Improvements, Educational, Food Manufacturing, Food Service, Government, Heath Care, Historical Buildings, Industrial, Manufacturing, Mixed Use, Multi-Family, Overhead Cranes/Gantry/Jib, Pharmaceutical, Pipe Stress Analyzes, Pipe/Duct/Conduit Trapeze, Plant Relocation, Process Skids, Restaurants, Retail Centers, Seismic Evaluation, Solar, Tenant Improvements. Plump Engineering was instrumental in this major renovation, combining three large apartment communities into one state of the art luxury complex known as “27 Seventy Five Mesa Verde”. Villa Venetia, Pinebrook Village One and Pinebrook Village Two apartment complexes were combined and transformed into 27 Seventy Five Mesa Verde, featuring 5 villa communities totaling 964 units, with Italian inspired architecture and resort style living. The project called for the man-made lake to be drained and filled in to make room for a new 4,500 square foot pool and 8,000 square foot community center, shown below. Plump Engineering was retained to provide the structural engineering design for the apartment unit renovations, the complete renovation of the existing community center that was converted to the new leasing offices and the ground up structural engineering design of a new 2 story community center. Plump Engineering also provided the engineering design work for the extensive landscape design including; retaining walls, towers, bridges and fire pits. Civil engineering services included construction staking, storm drain designs and grading. The new 8,000 Square foot clubhouse includes a gourmet teaching kitchen, dining area for entertaining, outdoor dining terrace, state of the art fitness center and facilities for the new 4,500 square foot outdoor pool.